Born to Hendrick (Henry) Williams-Neering, John Williams was one of six children. 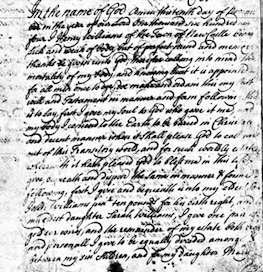 Upon his father’s death in 1694 or 1695, he was left the sum of ten pounds, his sisters Sarah and Mary were also specifically mentioned in their father’s will, while the other three children remain unnamed. Henry Williams’ estate was to be divided up equally amongst his six children except for his specific bequests to John, Sarah and Mary. 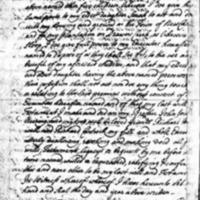 "Wills of New Castle County, Delaware, 1682-1854; Index to Wills, 1682-1885; Probate Place: New Castle, Delaware." In Ancestry.com. 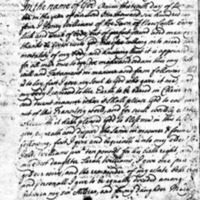 Delaware, Wills and Probate Records, 1676-1971. 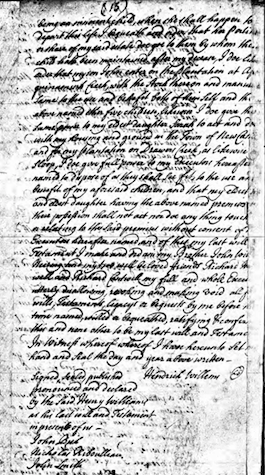 “Henry Williams' Will,” DelaWARES.org, accessed April 23, 2019, http://delawares.org/items/show/196.